Some died young. Some died old. All paid their dues with guitar in hand. 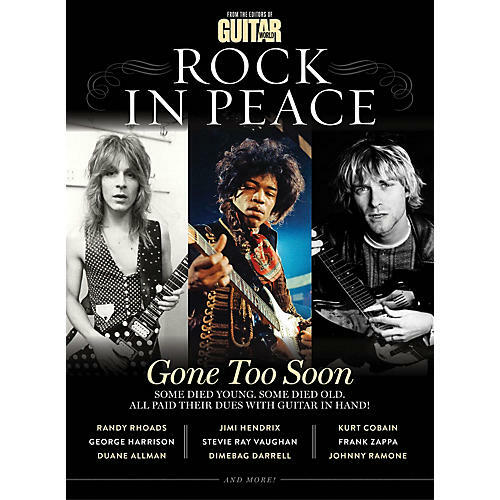 Rock in Peace looks at the lives of the late, great guitarists of blues, metal, rock, and jazz. Comprehensive profiles of legends like Jimi Hendrix, Kurt Cobain, George Harrison, Frank Zappa, Bob Marley along with the Ultimate Guitar Hero Gravesite Tour make this a definitive collectors' item. It is the final word on rock history - complete with rare photos of the artists and their often surprising tombstones.